Very Rare, Limited Edition & Out Of Print! 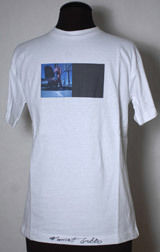 White t-shirt with color photo screen of Vincent Gallo. Blank on back.